Soltan worked as an accountant in Turkmenistan for 30 years. 30 years of work, four adult children, no prerequisites for a new profession. However, the events forced her to seek justice on Radio Liberty: on one terrible day, local government destroyed two houses, where her family lived without cause and any compensation. In search of justice, Soltan tried to tell her story to journalists, authorities, the general public… But she found no response and no compensation was achieved. 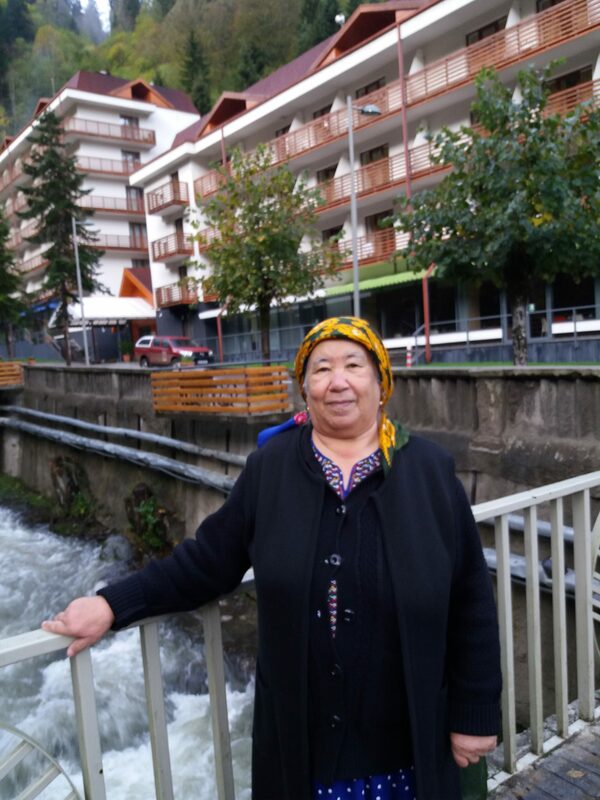 Today, Soltan is 68 years old, and she writes articles regularly for the last 10 years, she makes a video blog and photo for Radio Liberty and other free media, and she does not imagine her life without her work. In recent years, Soltan faces verbal, physical, digital attacks almost every month. During the attacks on Soltan, 5 of her photo/video cameras were destroyed. Moreover, one day, attackers thrown her to the ground and drove through her body on bicycles. They could approach her on the bus and began to harass her with obscene words, she was cut off from all communications, her family was not allowed to leave the country, all the windows in her disabled son’s car were broken up, all her bank accounts were blocked, and not so long ago a person, who is constantly tracking Soltan, threw stones at her own house. Do you know what Soltan is saying about this? – “I do not see my life without my work. The regime will continue to attack, I will continue to tell the truth.” To date, Soltan is one of the few who stayed in the country and tries to continue to talk about human rights violations.